2019 is kicking off with great news! 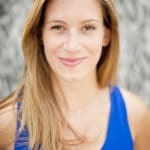 Our very own COO, Mollie Spilman, was one of three individual winners of the 2019 Business Intelligence Group’s (BIG) Innovation awards. To celebrate, we sat down with Mollie to dive deeper into her thoughts on the importance of the open internet, what drives innovation, her approach to leadership, and more. Find out what she said in the Q&A below. What does winning the BIG Innovation award mean to you? I’m honored to have been selected and to stand alongside some of the top leaders in innovation across industries. Innovation is at the core of Criteo’s business, and I’m proud to represent the team of incredibly talented and driven people who strive to achieve our innovation goals every day. You’ve been at Criteo for over four years — what is it about Criteo’s mission that resonates the most with you? In an industry of search and social walled gardens, Criteo stands firm in its founding principles to protect and champion the open internet. This position promotes collaborative innovation that is crucial to fuel new ideas and create real value for consumers, advertisers, and publishers. I’m passionate about that mission, and I want to help lead positive movement in our industry. How does the open internet promote collaboration? The open internet features many industry players rather than just a few giants, and that breadth of competition and diversity leads to innovation. Alternatively, if smaller players can’t compete with walled gardens and the industry loses those voices, it also loses the competitive drive pushing the market forward. Criteo completed a study recently, in partnership with Forbes Insights, that examined how partnerships can empower retailers and level the playing field against digital giants. The study surveyed 500 global senior executives and found that disruption to the retail industry is reshaping commerce — and brands and retailers feel unable to compete against the larger companies without cooperation. So, that cooperation will drive more players partnering and sharing ideas. How is Criteo driving innovation forward? Criteo is focused on addressing our clients’ biggest pain points, as well as anticipating their future needs, so we spend a lot of time listening to their feedback and analyzing how our solutions can better align to their business challenges. For instance, to help our clients scale digital marketing across the shopper journey, we evolved Criteo’s solutions into a multi-product platform that addresses marketing goals from awareness, to consideration and conversion. We also strive to be as nimble as possible; evolving with industry shifts. This ensures that Criteo will continue to empower brands and retailers of all sizes with the data and technology they need to best serve their customers. 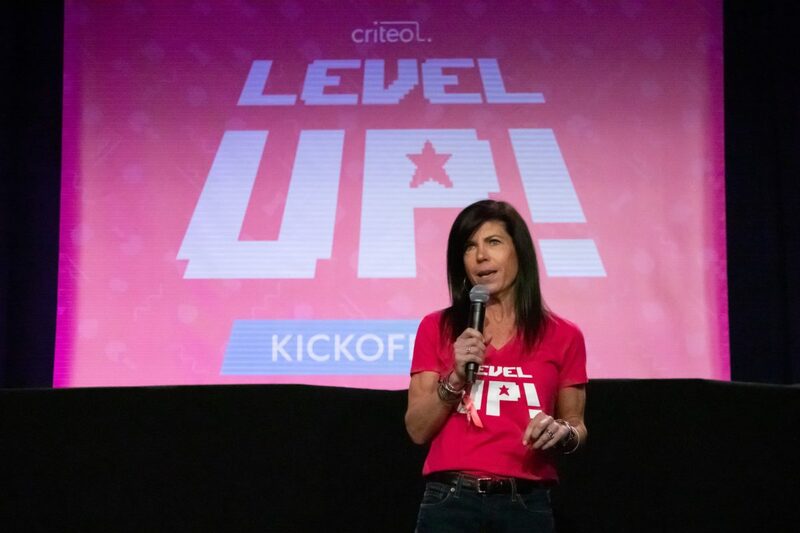 Since joining, you’ve been instrumental in Criteo’s growth into a nearly two-billion dollar business with a 90 percent customer retention rate. To what do you attribute that success? Our industry is changing every day, so I stay extremely focused and aggressive with my goal-setting and empower my team to do the same. This is the only way that we can continuously innovate on our products and scale across the globe to be the company brands rely on for marketing — no matter where they are and no matter what their challenges are. As a leader, I root myself in empathy, while constantly striving to win. Work-life balance plays a crucial role in establishing a productive and healthy environment and letting my team drive initiatives that move the business motivates them to do even more than I could imagine. Listening is also pivotal in earning my team’s trust and maintaining open lines of communication. And for women in particular, I firmly believe in female mentorship, since sharing advice, experiences and perspective can help female executives gain the self-confidence to reach their full potential. It’s been great to see more and more female leaders advancing in tech and other industries, who will serve as strong role models for the next generation. To find out more insights from Mollie on work-life balance and diversity, read on, here. A Buffalo native, now living in Brooklyn, Kelsey is a content marketer who also enjoys teaching yoga, going to the movies, and searching for NYC’s best chicken wings. She loves animals and has to resist the urge to adopt every cat and dog she sees on a daily basis.